We'll post our annual fireworks watching guide soon. But in the meantime, we figured those who like to create their own entertainment in their backyards would like to know which fireworks are legal (and illegal) across the D.C. area. With less than two weeks before the Fourth of July, officials are trying to make sure your holiday celebrations are safe. In D.C., some fireworks are permitted to be stored, displayed and sold. Others are illegal, and individuals found in possession of, or using, illegal fireworks can face fines, penalties and/or arrest. In general, any fireworks or firecrackers that explode -- such as cherry bombs, roman candles, or floral shells -- are illegal. Retailers must secure a permit from the DC Fire and Emergency Medical Service Department and a business license from the Department of Consumer and Regulatory Affairs (DCRA) in order to sell any legal fireworks in the District of Columbia. 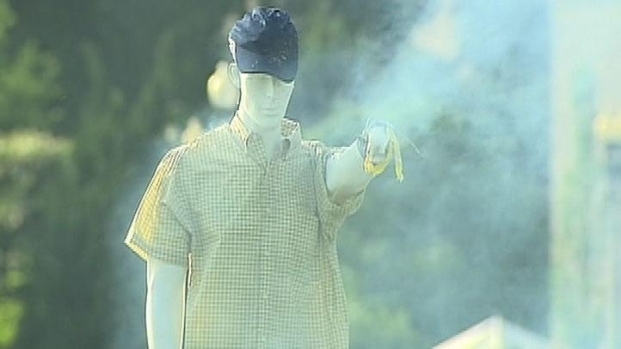 The U.S. Consumer Product Safety Commission held a demonstration on the National Mall to illustrate the dangers of fireworks. 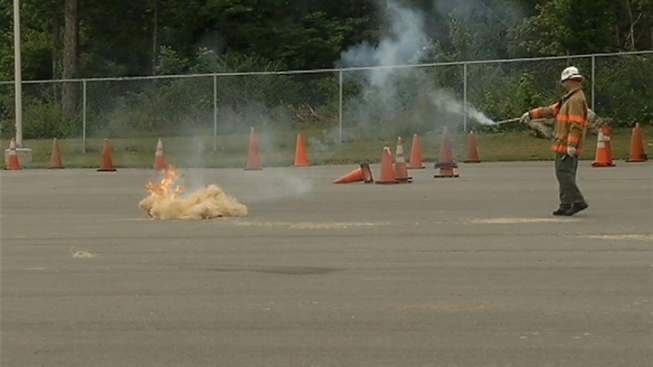 Several dummies and watermelons were detonated. In Montgomery County, all fireworks are illegal to possess or discharge, including gold label sparklers. Snap-and-pop noise makers, snakes, and party poppers are the only exception to this law. Use of the mail for the transportation of fireworks for use in the State of Maryland is illegal. You can’t have a private display of fireworks; however, you can have a public display with proper permits and insurance. And it doesn't matter where the fireworks are purchased or how they are brought into Maryland -- fireworks are still illegal. 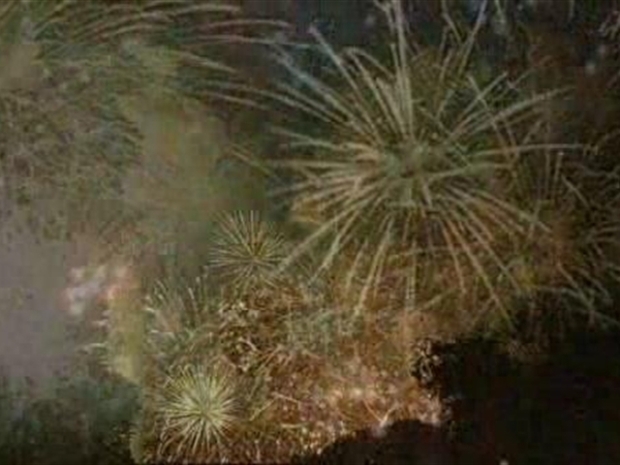 Missed the National Mall fireworks? See how they looked. In Prince George's County, it is illegal for any person to manufacture, possess, store, offer for sale, sell, discharge, use, burn, or explode any fireworks, except that an authorized display may be conducted by a licensed pyrotechnic professional. Penalties for violations of the law include a fine of up to $1,000 and/or six months in jail. Prince George's County has banned the sale, use and possession of fireworks based on the danger to our citizens caused by the misuse of these products. In Frederick County, Md., only gold label sparklers, novelty items, and ground-based sparklers are legal. It is illegal to discharge fireworks or possess with the intent to discharge any firework that explodes, rises into the air, moves across the ground or shoots projectiles into the air. Illegal devices include, but are not limited to: firecrackers, roman candles, pop bottle rockets as well as other consumer and commercial shell devices. A $500 civil citation and/or a criminal penalties can be imposed upon anyone who possesses fireworks with the intent to discharge or discharges fireworks without a permit or not in accordance with other local and State regulations. Each firework is considered a separate offense. At the expense of the owner, all fireworks possessed or sold in violation of local or State regulations will be seized and forfeited in accordance with Maryland Public Safety Article 10-111. In Fairfax County, any firework that explodes, emits a flame or sparks higher than 12 feet, or performs as a projectile is prohibited by the Fairfax County Fire Prevention Code. A permit is required for the sale of all fireworks, and these permits are only valid from June 1 to July 15 of each year. Many fireworks are not available in Northern Virginia because they are illegal. Firecrackers, cherry bombs and skyrockets are just a few examples of fireworks which may be purchased in other areas, but are illegal here. Since even the possession of unapproved fireworks is prohibited in Fairfax County, such fireworks will be confiscated and the person possessing them can be charged with a Class 1 misdemeanor. This carries a maximum penalty of a $2,500 fine and/or one year in jail. In Alexandria, Va., it is unlawful for any person to store, offer for sale, expose for sale, sell at retail, use or explode any fireworks (including sparklers) within the city limits. Offenses are Class One misdemeanors in the City of Alexandria and are punishable by a $2,500 fine and/or up to 12 months in prison. In Falls Church, Va., all consumer fireworks are illegal, including firecrackers, torpedoes, skyrockets, Roman candles, sparklers or other devices of like construction and any or other devices containing any explosive or flammable compound. The definition of "fireworks", according to the City of Falls Church Fire Prevention Code SFPC-3302.1 includes any combustible or explosive composition, or any substance or combination of substances, or article prepared for the purpose of producing a visible or an audible effect by combustion, explosion, deflagration or detonation. In Prince William County, sparklers, fountains, Pharaoh’s serpents, caps for pistols and pinwheels (commonly known as whirligigs), spinning jennies, or other similar fireworks approved by the Fire Marshal are permissible. Any such fireworks which explode, emit flame or sparks to a distance greater than 12 feet, rise into the air or travel laterally, or perform as a projectile or fire projectiles other than sparks are prohibited. All illegal fireworks will be confiscated, and the person responsible may be charged with violation of County or state laws. Permissible fireworks shall have a hardcoated or slow burning fuse at least 1 1/2 inches long with a burning rate of not less than four (4) seconds. Quick match fuses are prohibited. Such permissible fireworks shall be used only on private property with the approval of the owner of the property. In Arlington County, fireworks that are projectiles, explode, emit flames or sparks to a distance greater than twelve (12) feet are prohibited. Individuals in possession of illegal fireworks could face prosecution. For further information, contact the Arlington County Fire Prevention Office at 703-228-4644. Find out which fireworks are permitted in Arlington by clicking here. In Loudoun County, permissible fireworks are those that, according to state and local regulations, do not explode, do not rise into the air, do not travel laterally on the ground or do not fire projectiles into the air. These permissible fireworks include sparklers, fountains, cones and snakes. 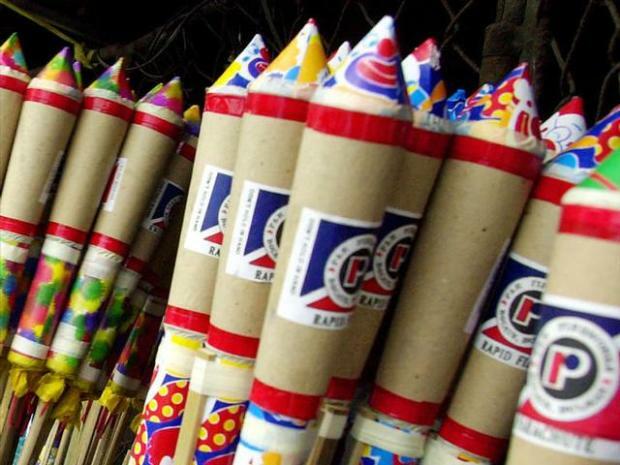 They are distinguished from other fireworks such as firecrackers, Roman candles, missiles, bottle rockets and shells, which are not allowed in Loudoun County without a permit. Click here for a list of permissible fireworks in the county.